Want to ensure that your air conditioner will last as long as possible? #1. Don’t wait to get repairs. When your air conditioner stops working, it’s important to get the repairs you need right away. If the air conditioner will still turn on in spite of the repairs it needs, it will have to work a lot harder to keep your home cool, which will mean higher energy bills. Also, if you put off getting repairs for very long, the problem is only going to keep getting worse, which means that it might be more expensive when you do get it repaired. Additionally, waiting to get repairs could even shorten your system’s life, which is exactly the opposite of what you want. #2. Keep it maintained regularly. Nothing is more important for the life of your system than regular maintenance. It’s smart to get your air conditioner professionally maintained before and after summer, but you should also do your part to keep it maintained in between professional visits by changing or cleaning the filters each month. 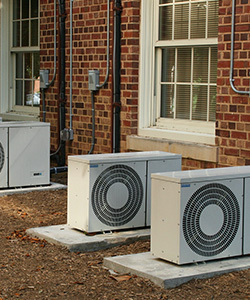 In addition to helping you get more years out of your air conditioner, maintenance can also help your system to run more efficiently, which could help to save energy. Professional maintenance also allows our technicians to get a good look at your unit so that they can catch small problems before they turn into big ones. #3. Avoid overburdening your air conditioner. It’s easy to overburden your air conditioner, especially here in Las Vegas, where it has to work hard to fight the heat. However, there are some things you can do to avoid overburdening it. For example, you should avoid covering or closing any vents in your home. Not only does this actually end up wasting energy, but it creates backpressure in your ducts, which can be harmful to your entire HVAC system. You can also lessen your reliance on your air conditioner and turn up your thermostat a few degrees by taking advantage of ceiling fans, closing the shades and switching to LEDs. 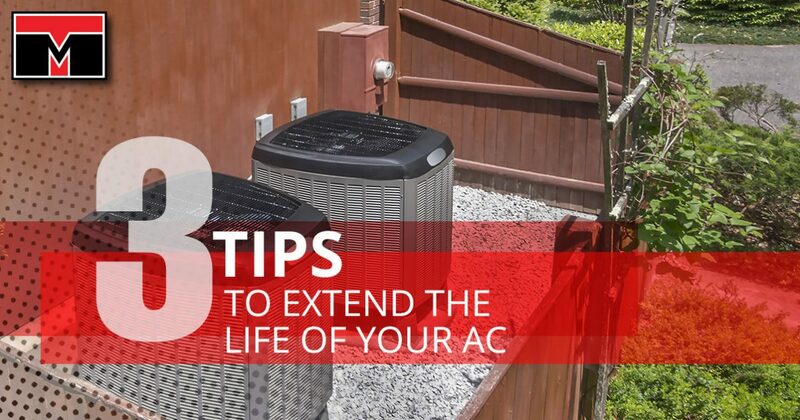 Let us help you get more years out of your air conditioner. Don’t let your air conditioner die prematurely. Extend your system’s life by following the above steps, and when you need air conditioning repair, maintenance or any other services, turn to Tippetts Mechanicals. With over 100 years of combined experience, there’s no better company to turn to for your air conditioning needs. Turn to us to save $50 on any service repair, as well as for free, in-home estimates. Contact us today to get started!